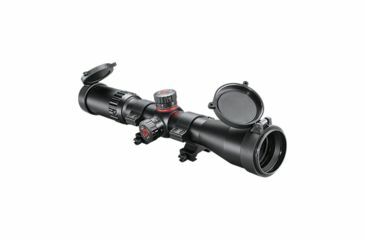 Simmons® ProTarget Riflescopes offer tactical scope performance at an unbeatable price. Scopes are ready out of the box to attach to your firearm with the included rings to hold it snugly in place. It also includes flip-up scope caps that protect the glass and can flip out of the way at a moment's notice. The optics are waterproof, fogproof and shockproof, and feature fully-coated lenses – which means crisp, bright images in all conditions.